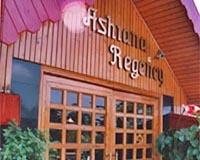 Hotel Ashiana Residency is located at Shimla. Shimla is one of India's Most Popular Hill Stations since British India, Embellished with stately buildings, surrounded by forests, Shimla has all the ingredients for a perfect & peaceful holiday. Away from the maddening crowd and pollution, Shimla enjoys pleasant summers & cool winters. Airport 17 kms, Railway Station 4 kms, Roadways Bus Stand 3 kms, Shopping Centre 1 km.